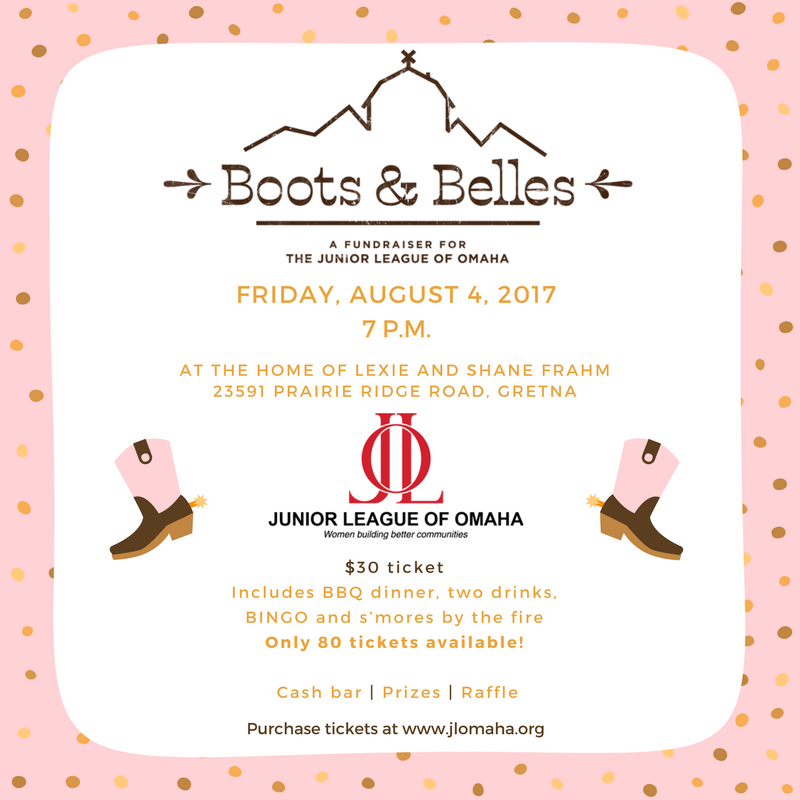 Members and their guests are welcome to join us at Boots & Belles on Friday, August 4, 2017! Our wonderful hosts are Lexie and Shane Frahm! Events starts at 7 p.m. Your $30 ticket includes BBQ dinner, two drinks, BINGO and s’mores by the fire. The Junior League of Omaha is an organization of women committed to promoting voluntarism, developing the potential of women and improving the community through the effective action and leadership of trained volunteers. Its purpose is exclusively educational and charitable. The Junior League of Omaha is a 501(c)(3) organization dedicated to promoting voluntarism, developing the potential of women and improving our community through the effective action and leadership of trained volunteers. Your donation helps fund the many projects, fundraisers and grants that the Junior League of Omaha provides. The content of this site is the responsibility of the Junior League of Omaha.